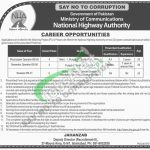 Here on 16th June, 2016 we provide you NHA Jobs June 2016 National Highway Authority Application Form Download. Jobs in NHA National Highway Authority Ministry of Communications are available and it is looking to recruit following staff on Merit Basis, Punjab Quota, Sindh Quota, KPK Quota, Multan Division Quota, Lahore Division Quota, Abbottabad Division Quota and Sukkur Division Quota for which it invites applications from the well educated and experienced candidates for the following positions such as (Photocopies Operator, Generator Operator and Sweeper). Appointment of these positions will be held on contract basis and duration of contract will be 02 years which is extendable on satisfactory performance. Candidates willing to apply against these positions should possess relevant qualification and experience as per the criteria mentioned in the following image such as for Sr. No. 1 Intermediate with three years experience is required, for Sr. No. 2 Middle pass with 7 years relevant experience and for Sr. No. 3 literate candidates can apply. 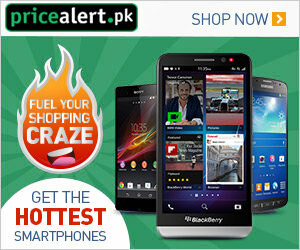 After selected the selected candidates will be posted anywhere in Pakistan as per the requirement of the organization. So, only suitable candidates meeting criteria should apply as per the following how to apply procedure given below. Candidates should apply on prescribed form which can be obtained from the official site www.nha.gov.pk or through web link given below. Duly filled application form along with attested copies of educational certificate, experience certificate, CNIC, domicile and recent photographs should reach the following address given below. The candidates are required to mention post applying for on the right top corner of the envelope. Incomplete applications and those received after closing date will not be entertained. Only shortlisted candidates will be called for test / interview and no TA/DA will be paid for the purpose. Address: Deputy Director (Recruitment-II), 27-Mauve Area, G-9/1, Islamabad.